Simon Hade is one of the Co-Founders of Space Ape Games, an award winning mobile gaming company founded in 2012 and based in London. Space Ape is dedicated to making genre defining, hand-crafted games with a focus on the community and delivering rich, quality gameplay experiences to players worldwide. Simon helped oversee the development and launch of four successful mobile titles, with the critically acclaimed, Samurai Siege, Rival Kingdoms, TRANSFORMERS: Earth Wars and their latest game, Fastlane: Road to Revenge. 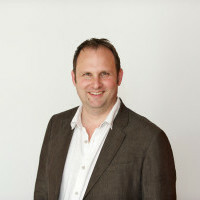 Simon has over a decade of product and commercial experience in high growth web businesses. He was responsible for monetization at Skype in its formative years and also the backend platform for Electronic Arts’ Facebook gaming business. Before that he was an attorney in Australia, Singapore and London. After launching several successful build-and-battle games, Space Ape set its sights on making the next genre defining hit game on mobile. The team decided it was time to break away from what was safe and inject a dose of innovation and adrenaline into every aspect of its latest release, Fastlane: Road to Revenge. From taking creative risks with game design, to implementing a first-of-its-kind influencer campaign that drove hundreds of thousands of installs and creating a holistic new approach to ad monetization and UA that has tripled revenue and DAU, it’s safe to say that the developer’s innovations have found success and helped them push the boundaries of game design. In this talk, Space Ape’s COO Simon Hade will pull back the curtains on the entire development process, breaking down key learnings from this new approach and demonstrating how they will have a lasting impact on the company’s strategies moving forward.